WLA offers FREE CLEs to its members multiple times per year. The programs are open to all lawyers. Committee members select the topic, recruit speakers, communicate with the Missouri Bar to obtain CLE accreditation, and plan event logistics. 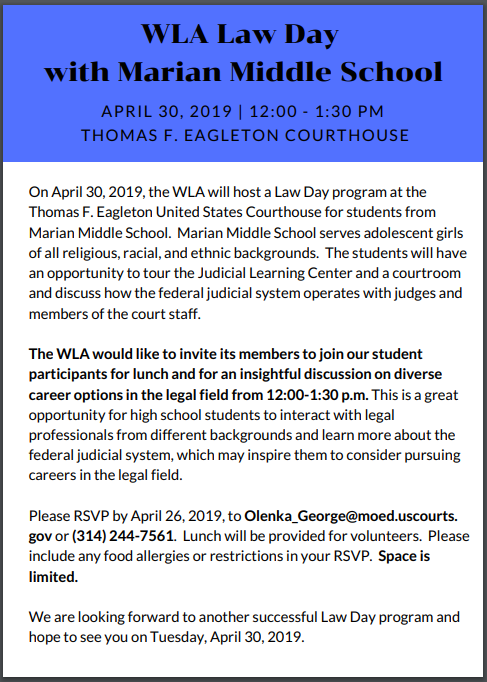 If you are interested in planning or hosting a CLE, please contact admin@wlastl.org. Check back here or in upcoming member emails for additional details and registration information.